For over three decades Comefri Group has excelled in engineering, manufacturing and the worldwide distribution of centrifugal fans. Our fans are acknowledged around the world for their quality and performance. The company was settled in Charlotte in 1997 as a Privately Owned US Corporation. 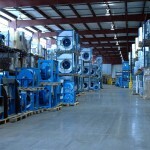 In 2001 the company moved to a substantial manufacturing plant (120,000 sq ft) in Hopkinsville, Kentucky. In 2006 the company finalized the plant expansion (55,000 sq ft) and the building of the Engineering Test Lab. Comefri USA team is made up of a dedicated work force and staff, constantly ready to meet new responsibilities and challenges.